LOOKING TO BECOME A 500 RYT? Welcome! Have you graduated from your 200 Hour Teacher Training? Or, have you had a steady practice for three (3) years or more? Well okay! The time is NOW! Deepen your practice, expand your knowledge, dare to dream and live the CHANGE! Become a 500 RYT! Note: Graduates of the 235 hour program at Yoga with an Edge will receive a 10% discount on the 300 hour program. When it comes to the practice of yoga, some is good, more is better and too much is not enough! What makes this 300 Hour training different? 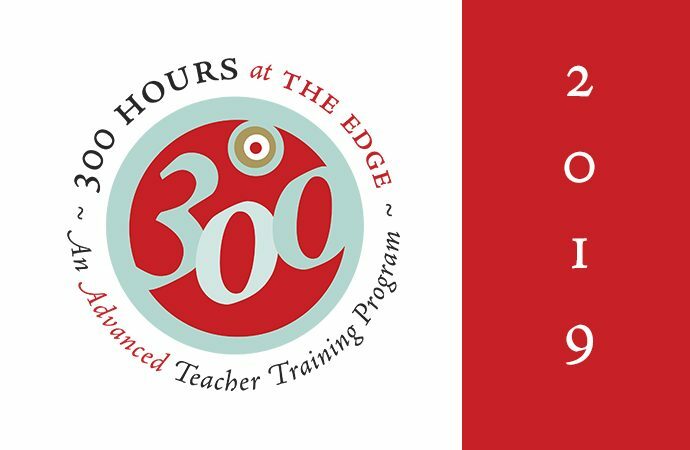 Unlike trainings that cram 50 or even 100 students into one room, our 300 Hour Advanced Teacher Training Program is limited to 12! Our goal is to immerse you in the ancient practice of yoga, with small groups, lots of one on one instruction and an atmosphere that feels safe and trusting. You will actually know everyone’s name. It’s a family affair! This advanced teacher training program will build upon your 200 hour teacher training and will take you to the next level and maybe the level beyond! With some of the best teachers from Raleigh, Asheville, Charlotte and Hickory, our aim is to fill you with knowledge that will enable you to teach students, beginner to advanced, the beautiful practice of yoga safely and with confidence, a confidence that comes from the power of KNOWLEDGE. This intensive training will be woven around the Yamas and Niyamas the backbone of yoga. We will not be dogmatic about one school of yoga being better than the other. An open mind and willingness to explore is essential to growth. The foundation of the training will be in Hatha Yoga, but we will offer training in Bhakti Yoga, Kundalini Yoga, Ashtanga Yoga, Anusara Yoga, Back Care Yoga and Restorative Yoga from some of the best teachers in western North Carolina. We will expect 100% from you and we will offer in return the same commitment. A 300 hour certification indicates your true dedication to higher learning, giving of your time and yourself. Changing the world one practice at a time. It’s not just a lifetime of study, but a study of life. Are you ready? We hope to see you at the Edge! The curriculum at Yoga with an Edge, a certified yoga school, has been approved by Yoga Alliance. You will be eligible for certification through Yoga Alliance at the end of training if all 300 hour requirements have been met. Certificates of graduation will be provided by the Edge. NOTE: There will be 15 minute breaks throughout the weekend. ~ A commitment to practice yoga OFF the mat as well as ON! There will be 7 required books to read. See list below. You will be given lots of additional articles and handouts, which means LOTS of reading! Books are not included in tuition. We accept check, cash, or credit card. For credit card payments, please click the graphic below, which will take you to our MindBody online store. A $500 deposit is required with Application to reserve your space. Should you need to cancel your reservation before January 1, 2019, $200 is non-refundable and non-transferable; the balance will be returned to you. Should you Cancel after January 1, 2019, no portion of the $500 is refundable. Registration is OPEN until February 5 or training is FULL. Please email or call to inquire. PLEASE NOTE CAREFULLY: After January 1, 2019, your application and deposit signify your obligation to remit the total fee regardless of whether you finish the program. Tuition may be paid in full, or paid in 5 installments, after the required deposit of $500: February, March, April, May, and June will be the payment months. There will be no exceptions regarding the due dates. No portion of tuition will be returned. To receive your certificate, you will be required to make up the missed weekend either at the Edge when teachers are available or at another Yoga Alliance Certified Studio when the required class is being offered. It will be costly. Please click this link to download a 2019 application.